Each Kingdom Hearts III trailer and collection of screenshots has revealed a new facet of the game’s story and world. These screenshots are among the most plot driven ones, directly connecting with the Kingdom Hearts‘ overarching story. Recently, we’ve seen an emphasis on the game’s crossover aspects, with Big Hero 6 taking the screenshot and trailer spotlight. On that note, fans have been happy to hear that plenty of Disney voice actors will reprise their roles for this game. But not every crossover related to Kingdom Hearts III is an expected one, with the opening theme being produced by Utada Hikaru and Skrillex as an example. See how it all comes together when Kingdom Hearts III releases on January 29, 2019 for the PlayStation 4 and Xbox One. When preparing for the game, you can relive your favorite franchise moments by enjoying Kingdom Hearts: VR Experience for free this holiday season. 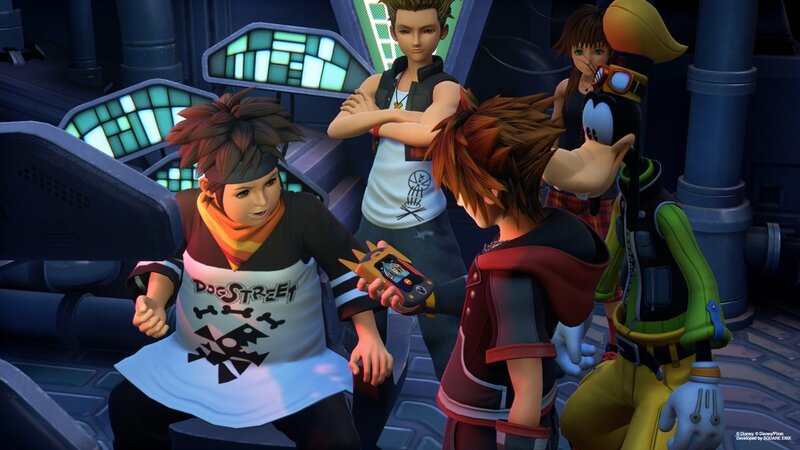 And if you’re new to the franchise, clear your schedule and catch up by playing Kingdom Hearts –The Story So Far–.